Archaeology can clarify or correct our assumptions and conclusions about the past. Sometimes archaeology confirms the events described in ancient narratives. This is especially so in the case of biblical archaeology. The discipline has been called “biblical archaeology” for more than a century precisely because the Bible and archaeology have a mutually clarifying relationship. The Bible provides helpful information for the archaeologist, such as where to dig and how to understand what is unearthed, and archaeology provides helpful information for the Bible scholar, clarifying events, customs, and figures described in the text. Although in the early and mid-20th century archaeologists were often motivated to prove this or that about the Bible, archaeology has since matured. Archaeologists now go about their work asking how their discoveries clarify the world of the Bible. 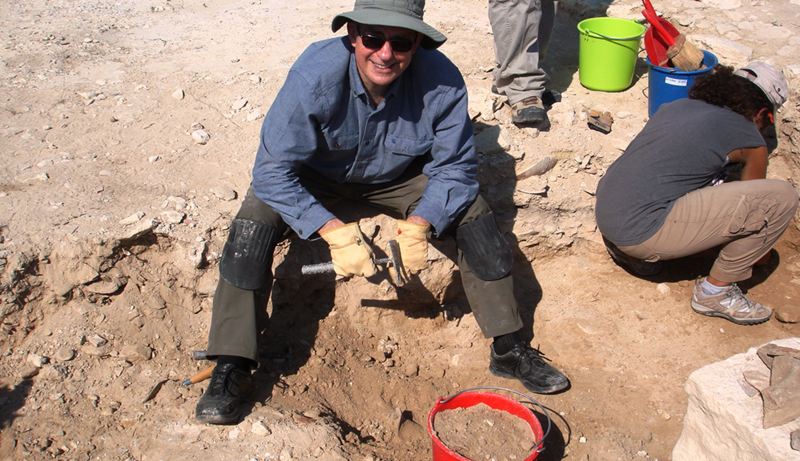 Ongoing archaeological digs in Israel and elsewhere in the land of the Bible continue to yield important discoveries. One team working in old Jerusalem is uncovering what appears to be the palace and administrative buildings of King David and his successors. Just last year, this team found a clay seal (called a bulla) that appears to read “Isaiah the prophet.” Two years earlier, only three meters from the very spot where the Isaiah’s seal was found, another seal reading “Hezekiah” was discovered. As anyone familiar with the books of Isaiah and 2 Kings will know, King Hezekiah and Isaiah were contemporaries and sometimes interacted with one another. Moreover, these stories give the impression that Isaiah had access to the king’s palace. Finding these seals, both from the same period of time, almost atop one another clarifies and confirms important aspects of the biblical narrative. Only a few months ago the Israel Antiquities Authority announced the discovery of a portion of a limestone column on which was inscribed the name “Jerusalem,” fully spelled out in Aramaic as Yerushalayim. The inscription, which dates to the first century BC, reads “Hananiah son of Dudolos of Jerusalem” and is the oldest inscription of this nature excavators have found. Surprisingly, inscriptions mentioning Jerusalem are quite rare—even in Jerusalem—which makes this find very important. Archaeology has shed light on what was perhaps the sharpest disagreement between leaders in the early Christian church. In his letter to the churches of Galatia, Paul recounts what he said to Peter (also called “Cephas”) after Peter, intimidated by the arrival of “men from James,” stopped eating meals with the gentile Christians in Antioch: “I said to Cephas before them all, ‘If you, though a Jew, live like a Gentile and not like a Jew, how can you compel the Gentiles to live like Jews?’” (Gal 2:14). Why would Paul say that Peter was living “like a Gentile and not like a Jew”? After all, when Peter had a vision and heard a voice from heaven commanding him to eat non-kosher food, he responded, “No, Lord; for I have never eaten anything that is common or unclean” (Acts 10:14). It sounds like Peter avoided non-kosher food. So was Paul being fair? The answer lies in the fact that Paul had been a devout Pharisee, who took kosher food laws and purity very seriously, whereas Peter, who had not been a Pharisee, grew up in Bethsaida, on the north shore of the Sea of Galilee, just inside the territory of Gaulanitis. Bethsaida, in fact, was not in Galilee, nor was Bethsaida’s population entirely Jewish. Gentiles lived in Bethsaida, and the faunal remains (animal bones) recovered in archaeological excavations there over the past 30 years or so are not entirely kosher. Some 3 percent of the animal and fish bones at Bethsaida are non-kosher, while 97 percent are kosher. Compare that to the findings at the city of Sepphoris (the capital of Galilee), where the faunal remains from prior to AD 70 are 100 percent kosher. This means some people in Bethsaida were eating wild boar and catfish, both of which were unclean and not to be eaten by Torah-observant Jews. If wild boar and catfish were being eaten in Bethsaida, it is more than probable that other rules and regulations regarding food were not being observed properly—at least from the Pharisees’ point of view. This is why Paul found it ridiculous that Peter withdrew from the gentiles when men from James (the brother of Jesus and head of the church in Jerusalem) visited Antioch. Ongoing work at Bethsaida, which sits atop a rocky precipice overlooking the Sea of Galilee to the south, may shed light on Jesus’ remarkable statement to Peter in Matthew. Jesus assures Peter that “on this rock I will build my church, and the gates of hell shall not prevail against it” (Matt 16:18). Jesus probably uttered this in the year AD 30, the year in which Philip, the Roman governor of Gaulanitis, announced that he planned to build a temple on the rocky precipice of Bethsaida and change the town’s name to Julias to honor the recently deceased Livia Julia, widow of the great emperor Augustus. One can only imagine the outrage most Jews would have felt over Philip’s plan. Jesus’ bold statement that he would found his church on the rock and that hell itself would not prevail against it may well have been a form of pushing back. As it turns out, Philip died in AD 34, and there is no evidence he managed to build the promised temple for Livia. Here’s another important question for New Testament scholars: Just how devout were Galilean Jews, and what were their feelings toward the temple in Jerusalem? Recent archaeological discoveries have shed significant light on such matters. A few years ago, first-century Magdala was finally discovered and, along with it, a synagogue came to light, adding to the growing number of pre-AD 70 synagogues that have been found. What was especially intriguing about the synagogue at Magdala was the decorated rectangular stone sitting in the middle of the floor facing south, toward Jerusalem. Archaeologists are confident that the artwork on the stone is intended to represent the temple, complete with the iconic seven-branched candelabrum (menorah), the table of the Presence, columns, and other architectural features for which the Jewish temple was known. Some researchers wondered if the Magdala synagogue stone was one of a kind. But no, another decorated stone has been found in the fourth or fifth-century synagogue now being excavated at Horvat Kur, only minutes from Magdala. This decorated stone, which has been dated to the first century, was found embedded in one of the walls. It seems to have served as a sacred artifact or memorial. Whatever its purpose, the stone shows that more than one Galilean synagogue focused on the temple in Jerusalem, suggesting that Galilean Jews were probably very devout and committed to Israel’s historic faith—including and especially their famous temple. The reason the ruling priests of Jerusalem may have viewed Galileans with misgivings was probably not because they were liberal and inclined toward Greek culture. Based on these archaeological findings, it’s more likely the Jerusalem priests were concerned because Galilean Jews were very zealous—and perhaps prone to insurrection. One more recent archaeological find should be mentioned. Three times in the Gospel of Mark (4:25; 5:20; 7:31) we hear of a region in Israel called the Decapolis (“10 city”). From other sources we learn that these Greek-oriented cities included Abila, Gadara, Gerasa (or Jerash), Hippos, Pella, Scythopolis, and others. One of the others is Capitolias, located in northern Jordan and founded in the first century AD. Archaeological work has been under way at this site for years, but a discovery in 2016—reported only recently—has garnered a lot of attention. Road workers at Capitolias uncovered a Roman tomb, which is part of a necropolis located just east of the city’s theater. What has created the excitement among archaeologists is the discovery of several wall paintings that exhibit more than 200 figures, including gods, humans, and animals. The paintings give expression to a narrative that seems to focus on the founding of Capitolias. Archaeologists have described the artwork as something akin to modern comic books. As the characters build the city, they speak, often describing what they are doing (“I am cutting stone”) or what is happening to them (“Alas for me; I am dead!”). Some 60 texts have been identified, and several have been translated. Curiously, the characters in the artwork are Greek, but the language they speak is Aramaic. The main takeaway, at least for now, is the idea that the gods themselves assist humans in founding and building their city. Scholars have always known that cities in late antiquity revered local deities, as well as the major universal deities such as Zeus and Apollo. The discovery at Capitolias throws new light on the subject. It also clarifies the nature of the pagan world, situated right in the Jewish homeland. Jesus himself walked through the Decapolis and surely was aware of this paganism and how it was at odds with Israel’s historic faith. These are but a few of the examples of archaeological finds that shed light on the world of the Bible. 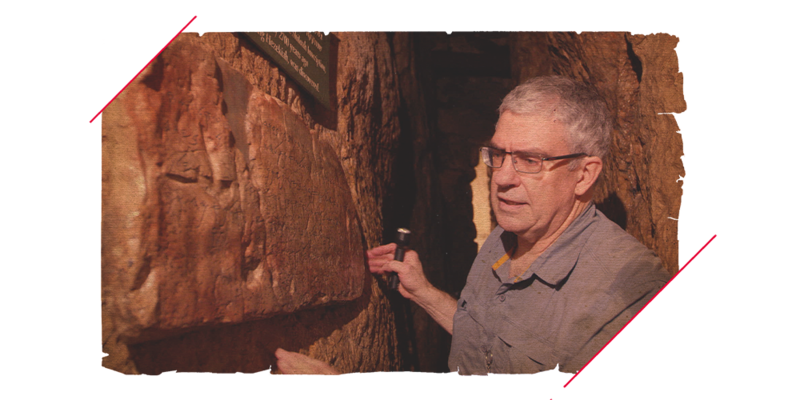 These discoveries—and no doubt there will be more!—help us understand the Bible better and bring the past to life. Scripture quotations are from the Revised Standard Version. 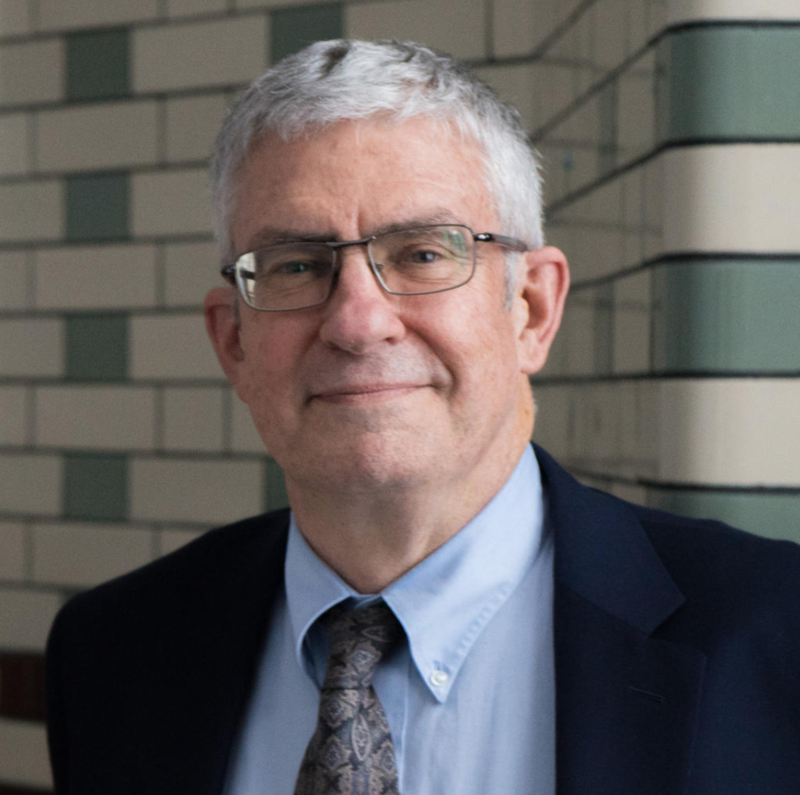 Craig A. Evans is John Bisagno Distinguished Professor of Christian Origins at Houston Baptist University. He is the author of several books on Jesus, archaeology, and the Dead Sea Scrolls.